This recipe is founded on two premises. 1) Mague Choux is delicious (<– this link is to a sad, old post of mine that has gotten no love, not even photos, but it is a great recipe for Maque Choux), and 2) Fresh herbs make everything the bestest best it could ever hope to be. 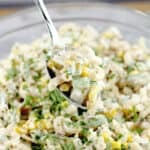 So, macaroni salad, like potato salad, can be easily reinvented into new, creative, fun, DELICIOUS newbies. And now my Cajun Maque Choux Macaroni Salad, like my Spring Potato Salad with Arugula, Peas, and Dill, another recipe I am so proud of, will now be admitted into my heart as an all-time favorite and summer go-to. There we have it. Maque Choux is a Cajun classic with bacon, corn, bell pepper, and onion, sauteed up, seasoned well, and then maybe there’s a little milk or cream added, but it is a basic side dish is all. And, with the bacon and cooked corn, ridiculously delicious. And so here we are. 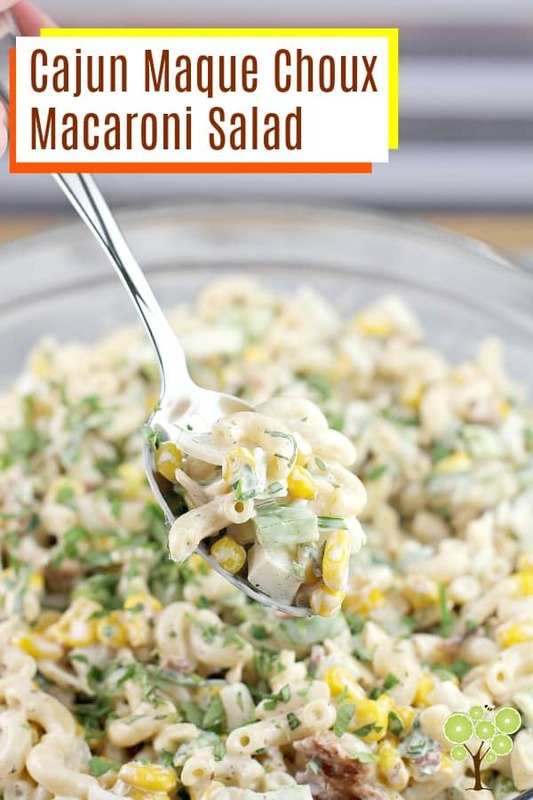 With a summer-perfect, Cajun salad inspired by Maque Choux with crispy bacon and corn but transformed into a yummy macaroni salad. We. Cannot. Lose. Making this Cajun salad is as easy as making any macaroni salad. And as easy as making actual Maque Choux too. 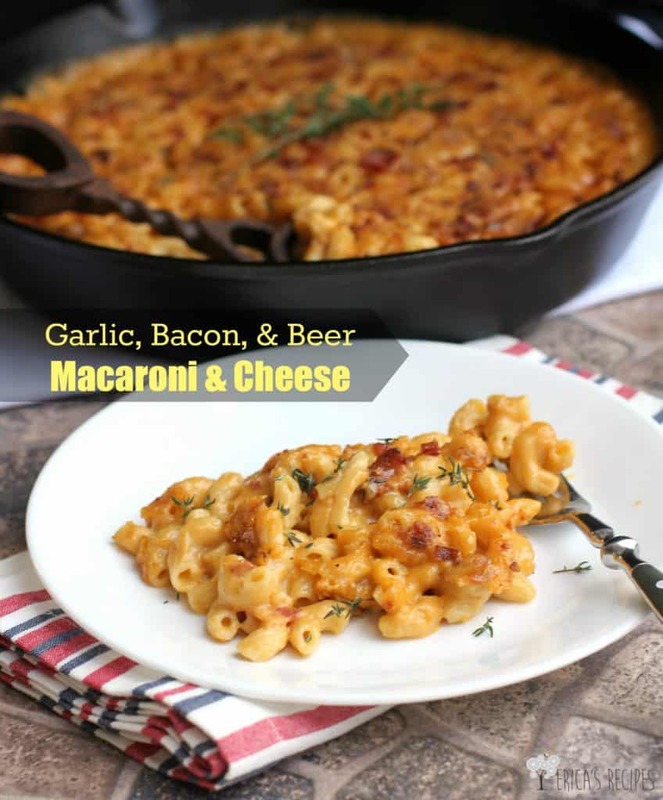 We put our elbow macaroni to cook, cook and crumble the bacon, saute the corn, then throw it all together. Easy peasy stevie, let it chill in the fridge a bit to get awesomer, then we have the Cajun salad of our dreams. 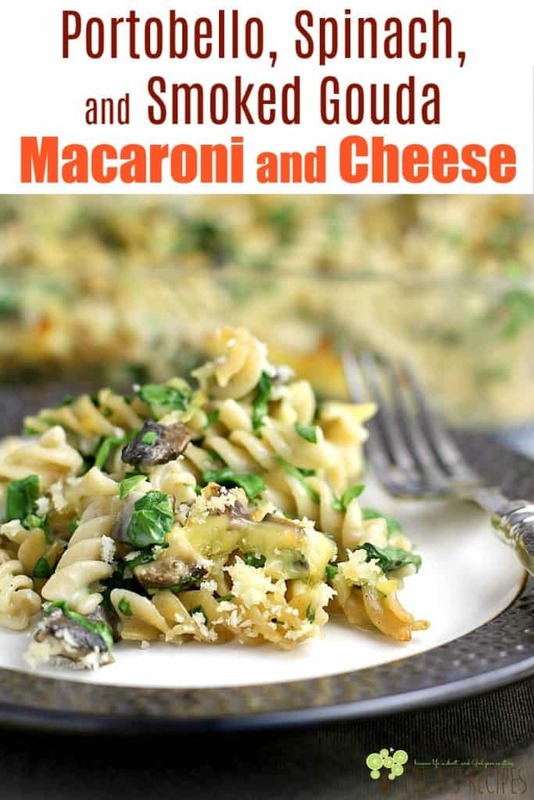 Another bonus is that this dish can be made a day in advance too, making all our lives easier. So that’s it folks. An American killer classic recipe, transformed into a killer Cajun salad. 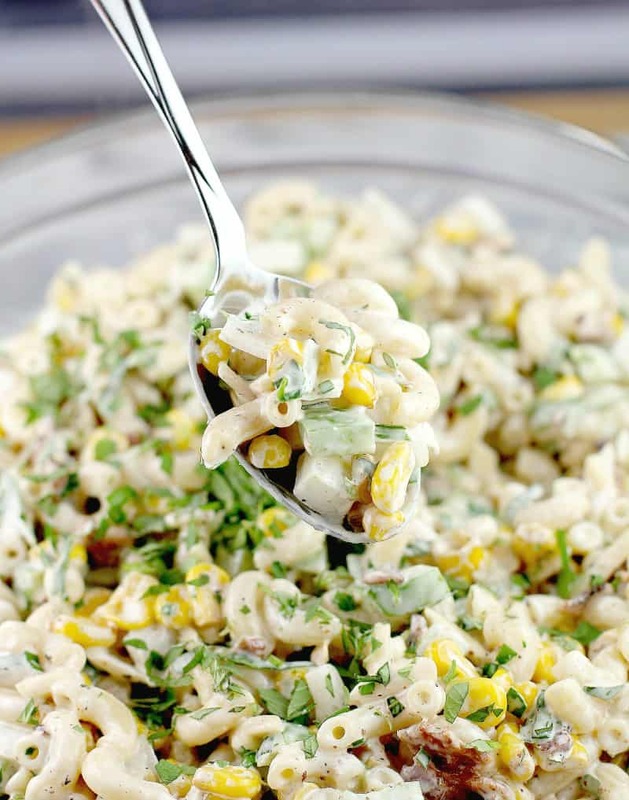 Cajun Maque Choux Macaroni Salad: make it, serve it, love it ..for all the wins. 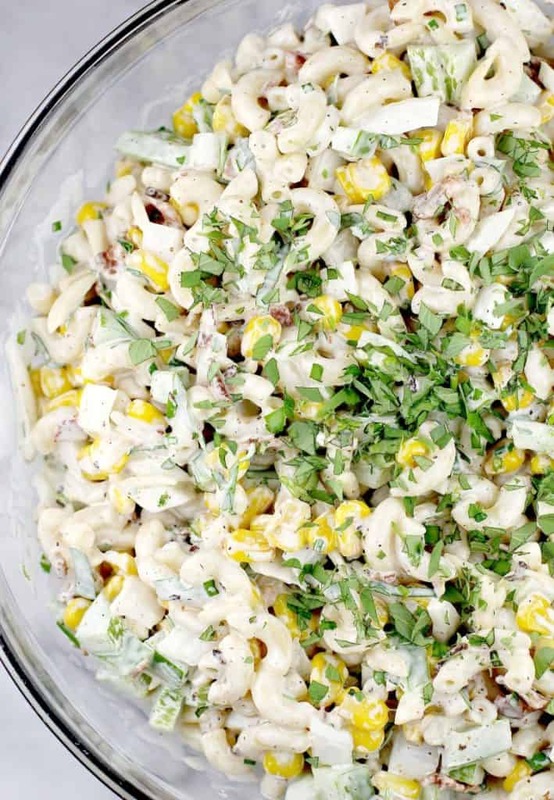 This Cajun salad recipe with crispy bacon and corn, is a must-try, new go-to, summer-loving must-do. Cook the pasta according to package directions. Drain and immediately rinse with cold water. Set aside. While pasta is cooking, cook the bacon in a large, nonstick skillet. Transfer the bacon to a plate lined with paper towels to drain. Once cool enough to handle, chop the bacon into little yummy bits. From the skillet, drain off all but ~1 tablespoon bacon fat. Put the skillet back on the burner and add the corn. 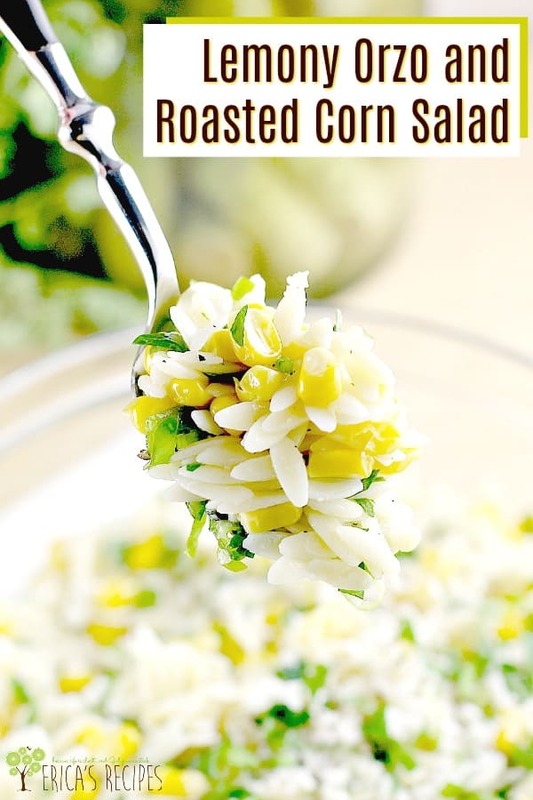 Saute, tossing regularly, until corn is lightly browned. Remove from the heat. 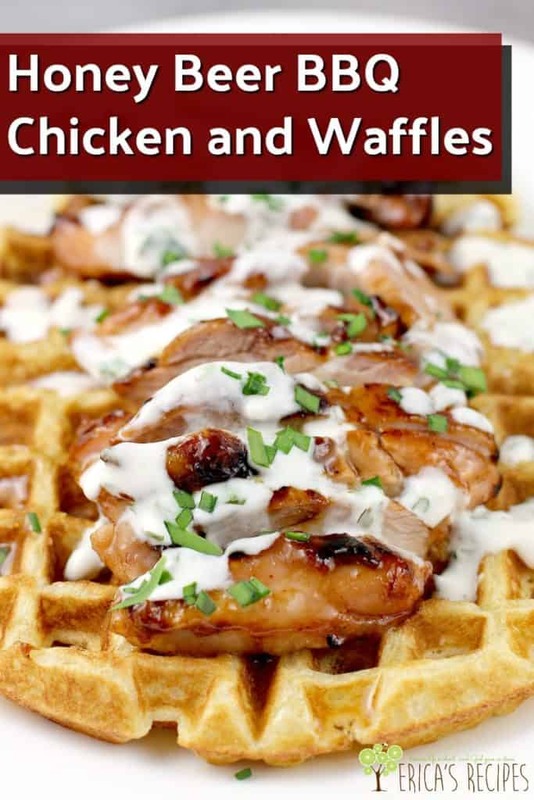 In a mixing bowl, whisk together the mayonnaise, vinegar, Dijon, salt, Cajun seasoning, and pepper. Add the macaroni, bacon, corn, bell pepper, onion, almonds, and herbs. Taste for seasoning. Refrigerate until service. Yields: 6 servings. For the herbs, I went out into my garden and grabbed a handful of thyme, oregano, parsley, basil, and chives. If buying, I would go with chives definitely, then also oregano and/or parsley. Fresh oregano is my favorite, so I am partial there. Best frigging herb on the planet.